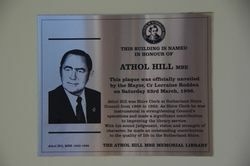 The Athol Hill MBE Memorial Library is named in honour of Athol Hill who was Shire Clerk at the Sutherland Shire Council from 1968 to 1982. This plaque was officially unveiled by the Mayor, Cr Lorraine Rodden on Saturday 23rd March, 1996. 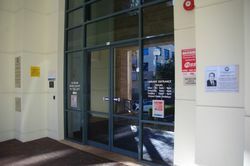 Athol Hill was Shire Clerk at Sutherland Shire Council from 1968 to 1982. 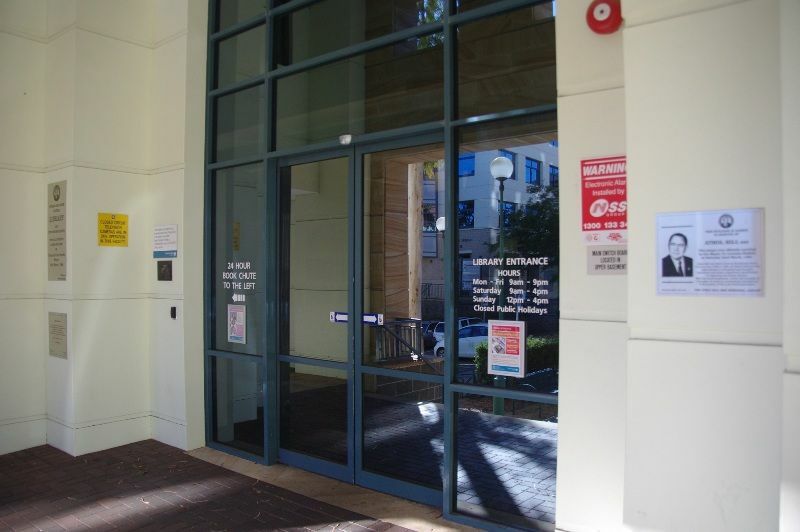 As Shire Clerk he was instrumental in strengthening Council's operations and made a signifcant contribution to improving the library service. With his sound judgement, vision and strength of character, he made an outstanding contribution to the quality of life in the Sutherland Shire.